Vision Technologies FZE is a UAE registered company with offices in Dubai, London and Ljubljana. Its main activity is media focused technology and software development. Its flagship product is Perception™ video delivery platform. With its subsidiary Fora d.o.o., a Ljubljana based company, is part of Vision Group. Company has over 10 years of expertise in delivering best-in-class content delivery solutions. Vision Technologies pioneered the concept of “any content over any network to any device”. PerceptionTV Ltd. – London based company managing software licensing of the Perception platform. Vision247 Ltd. – London based company specializing in the provision of broadcast and CDN managed services. Connexion Broadcast FZE – Dubai based company specializing in global distribution of TV channels to hotels, IPTV and OTT platforms and to mobile operators. Matt has over 29 years of experience as technology entrepreneur in broadcast, internet and media industry. He founded Connexion Exports in 1991, ON-AIR Systems in 1997, Vision Group in 2005 and Vision Technologies in 2014. In 1999 Matt realised that for the next generation entertainment, interactive on-demand solution is required for business growth. Shortly after, in 2000 in Mumbai, the pioneering IPTV/OTT concept was deployed being the world’s first IPTV service based on WM and the very first 1GbE broadband service deployed in collaboration with MTNL and BSNL. In 1998 Matt introduced the ‘ON-AIR Server’ to the broadcast market -the revolutionary "Channel-in-a-Box" solution -an Integrated Video Server with built in playout automation, interactive graphics, vision mixing and shared storage, enabling content transfers via the computer network. Technology has been harnessed to simplify multichannel TV workflow and drastically reduce the running costs. Within five years this approach became de-facto standard across the broadcast industry. In 2006 Matt launched XtremeCDN™ -the very first totally integrated cloud based 'Content Management Delivery System', centralizing and simplifying linear TV and on-demand broadcast across traditional DVB and new global OTT IP fabric. This award winning technology was the first in delivering advanced features like 'Channel-from-the-cloud', 'Catch-up-TV' and 'Forward-TV'. In 2013, Matt introduced Perception OVP™ -the world's first end-to-end unified CDN/OTT/IPTV ‘Platform-in-a-Box'. The platform received a number of industry awards and continues to be technology leading solution implementing revolutionary unicast/multicast CDN technology ready to power ‘Sixth Generation TV’ on wired and mobile LTE networks. 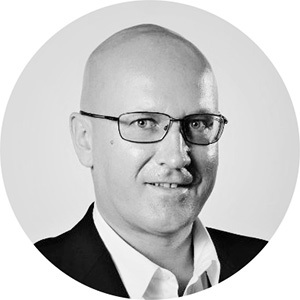 Gregor Fuis has acquired his IPTV expertise at Iskratel, the market leading company in this field at the time, from 2003 through until 2012, covering a variety of senior product and engineering roles. He joined Vision Group as CTO in charge of the software development and operation in 2012. Gregor provides an immense wealth of IPTV/OTT knowledge especially related to the provision of services for Telco grade white-label customers. 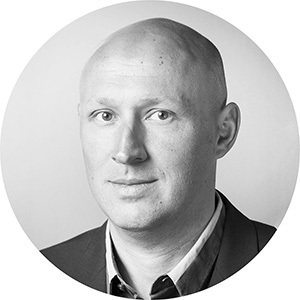 He now serves as CTO of Vision Technologies and MD of Fora d.o.o. subsidiary, the company responsible for Perception software development. Vision Technologies team is tight assembly of highly motivated young experts covering in depth all key areas of Vision Technologies development activities working on CDN, OTT/IPTV middleware and front-end video player applications. Team promotes maximum code quality above all being paired with revolutionary UI designs. High productivity output is attributed to cross-skilled work concept promoting cooperation on multiple parallel levels between the core team departments: Front-end UI, CDN middleware, streaming servers, OTT/IPTV middleware, network infrastructure system admin and delivery operations.